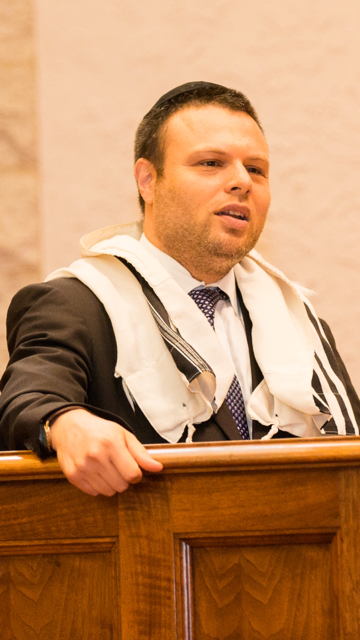 With a passion for making Torah relevant to life in the twenty-first century, Rabbi Sessler joins the STTI community, bringing a fresh and dynamic approach to Jewish spirituality.Born and raised in Tel Aviv, he moved to the United States in 2000, first earning his doctorate in philosophy, and then receiving rabbinical ordination. A published author and recognized scholar, Rabbi Sessler has written three books focusing on philosophy and Jewish identity.Before joining the Sephardic Temple, he served as the Rabbi of Freehold Jewish Center in New Jersey, and earlier as the Rabbi of the Jewish Center of Forest Hills West in New York.As a spiritual leader, Rabbi Sessler promotes a warm and friendly atmosphere that is spiritually inspiring, intellectually stimulating, and socially engaging. Rabbi Sessler is married to Dr. Nina Sessler, a clinical psychologist, and they have two daughters.